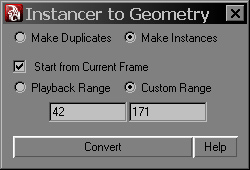 Almost every time I use instancer to duplicate geometry via particles, I inevitably want to convert it’s result into standard keyframed objects to modify or simply delete specific ones. At last I’ve put myself together and have written a tool for this task. select instancer(s) you want to convert and press Convert button in tool’s window. Conversion, static channels deletion and application of euler filter will take place. Help – link to this page. if an instancer channel is mapped to a “weird” attribute, that can’t be easily read – script would fail. At this point I can’t imagine why anyone would want to do this, though during the tests I’ve encountered that someone had set Scale to Ramp Velocity and my tool couldn’t read it. Possibly some useful attributes can cause problems, but that’s what updates are for. for proper rotations with respect to different rotationOrder types, tool has to freeze rotate channels of objects plugged into instancer. As a result, if they are driven by animation curves or expressions, or just locked – script would fail. I don’t see any point in rotating these original objects instead of doing this rotations via particle attributes as it’s meant to be done, so I didn’t bother solving this issue. So, try it, use it and send me bugReports/toDo’s – I’ll try to correct/implement them. Thanks! 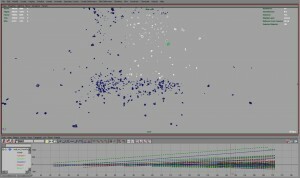 Worked like a charm for my very simple nParticle sim. I can not believe Maya does not have this capability on it’s own. 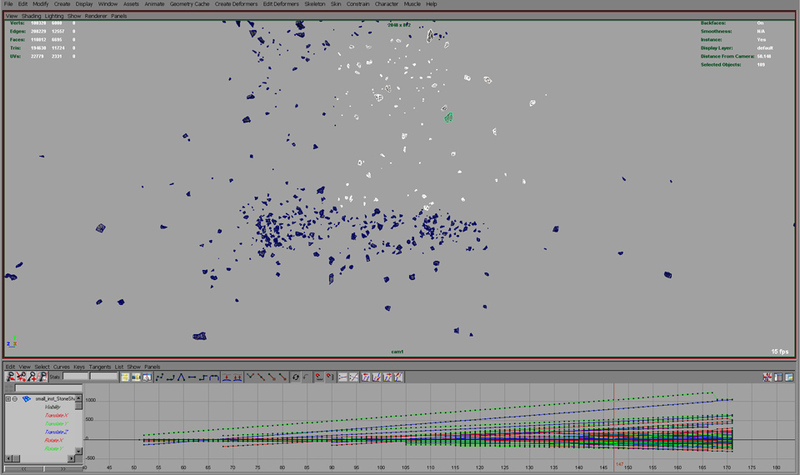 It’s maddening, and makes me so happy that I’ve been working more in Houdini these days. Thanks again for this script that got me out of a bind! Hi, Peter. Check your PYTHONPATH environment variable (“getenv PYTHONPATH;” mel command in maya) – maya checks these folders for scripts. Otherwise just copy/paste the whole script to your scriptEditor, execute it and “sag_instancerToGeometry()”. Thank you very much for the help. It works great. Pipeline have modified paths getting checked quite drastically. I am going to implement this to ours now. Thanks again. You’re welcome. This old version doesn’t work with namespaces though, Maya just freezes… It’s fixed, but I forget to update the tool for a very long time already – I’ll try to do that asap. Does this script recognize lifespan. Other scripts I’ve tried don’t seem to do it. Hi Keith. If a particle disappears for any reason (including lifespan), the converted object becomes invisible with a key to it’s visibility.